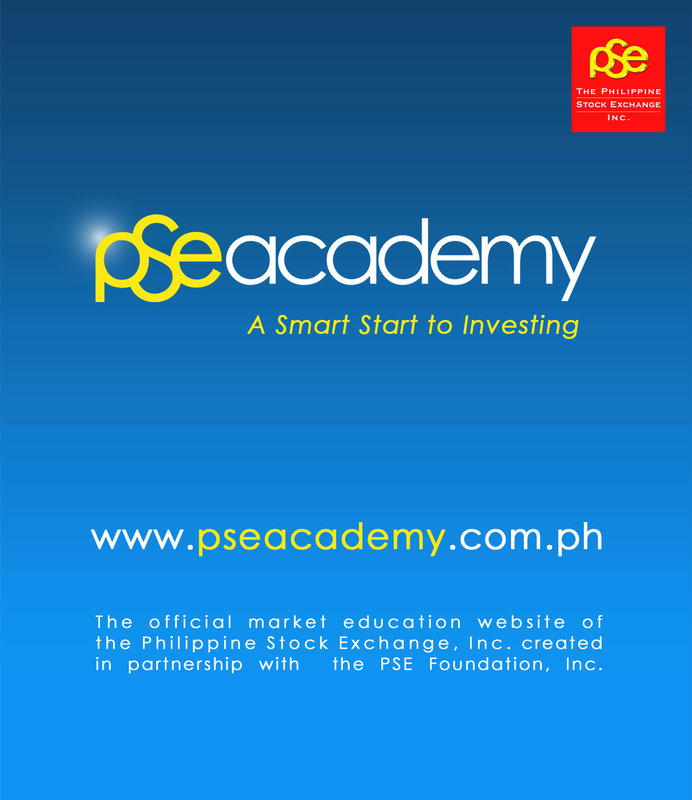 Welcome to the PSE Academy, the official market education website of the Philippine Stock Exchange, Inc. (PSE) created in partnership with the PSE Foundation, Inc. The PSE Academy provides a comprehensive, interactive, and practical web-based investor education for market participants, would-be equity investors, and the public in general. One of the key features of the website is the e-Learning section, which allows users to enhance their knowledge on stock investments and eventually acquire new trading skills through a full access to free downloadable reading materials and video books. Also part of the e-Learning component are materials that furnish market practitioners with information on securities licensure examinations, stock market courses and trainings. Aside from this, a key innovation is Market Talk, an interactive tool that allows users to gather and participate in discussions concerning issues related to the capital markets, and to positively find solutions to various investing challenges. Additional features like webinars, podcasts, and an investment calculator will be integrated in the website soon. Begin your investor education today and join the PSE Academy!